P12: Portrait of Gloria Diaz – Miss Universe 1969.Issued on May 5, 1994. 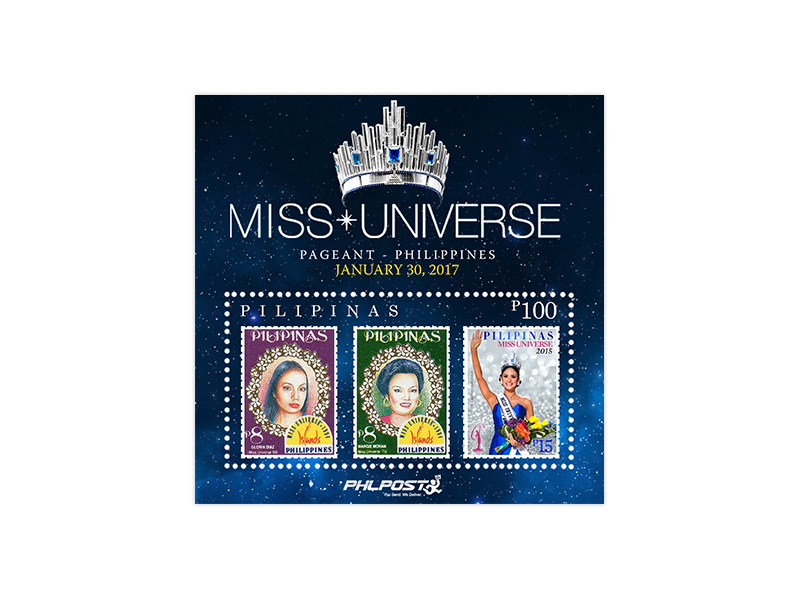 P17: Portrait of Margie Moran – Miss Universe 1973.Issued on May 5, 1994. P55: Photo of Pia Alonzo Wurtzbach – Miss Universe 2015 in her winning moment. Issued April 17, 2016.